This user-friendly machine offers quality performance and great looks at an affordable price. The Bernette B33 is perfect for the occasional sewer. With variable stitch width, an automatic needle threader and more stitches than ever before, it's a snap to achieve beautiful results. Clear features and functions coupled with outstanding performance at a budget price. 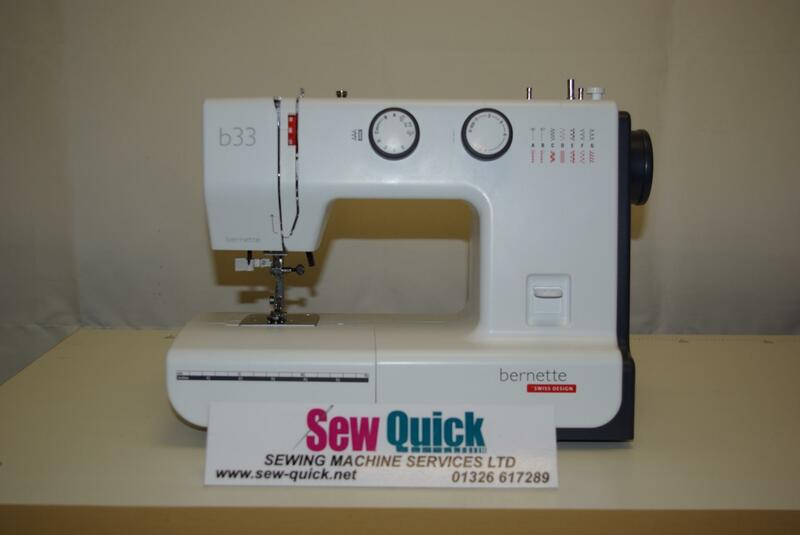 The bernette B33 ease of operation and infinitely adjustable stitch width guarantee effortlessly perfect sewing results, for instance when altering or repairing garments. The automatic upper-thread threader is a thoroughly professional touch.